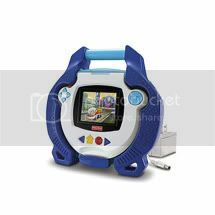 Fisher Price Kid Tough DVD Player! Wouldn’t you love to win this for a sweet little one? Go on over to Frugal Upstate and comment! These things are expensive but very cool. if you could win it, it would be even better! So go! The contest ends on 12/12 so move those sweet buns! « Fun Holiday Tradition- Seven Days of Chirstmas!